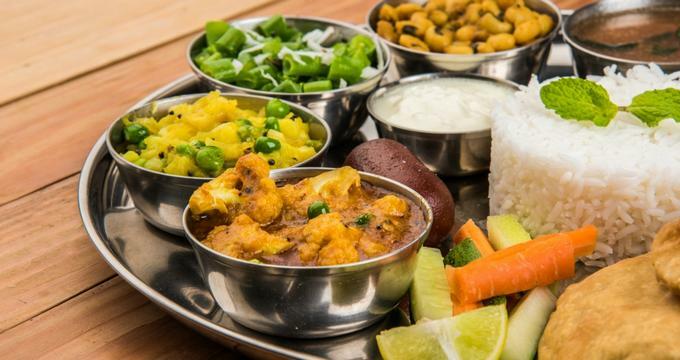 Indian food might not be the first cuisine to spring to mind when you think of Texas, but Houston is home to a large number of excellent Indian restaurants. Many of these eateries can be found in Little India, but there are also hidden gems located off the beaten path. Whether your favorite Indian dish is chicken tikka masala, palak paneer, or lamb biryani, don't hesitate to look for it in Houston. You're sure to find a restaurant that tickles your fancy regardless of whether you're looking for a hearty lunch buffet or a more upscale dinner experience. Located in Sugar Park Plaza, Aga's Restaurant offers an excellent variety of both Indian and Pakistani dishes. The menu starts off with made-to-order appetizers like samosas and spring rolls before moving on to offer soups, salads, and grilled wraps. 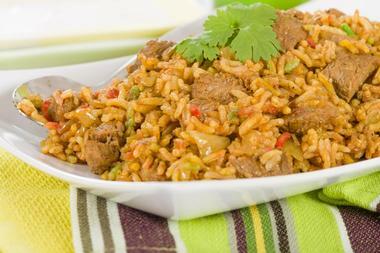 There is also a wide selection of curries, including chicken, goat, beef, seafood, and egg. All the meats served here are halal, and there are plenty of vegetarian and vegan options as well. Diners can choose to accompany their meals with biryani, rice, naan, paratha, or chapati, and the dessert menu offers an excellent selection of traditional Indian sweets. Owned and operated by Mr. Mariadason Visuvasam, Annam Indian Cuisine prides itself on offering authentic South Indian food and creating a welcoming atmosphere. The restaurant is open for lunch and dinner every day of the week, with a special lunch buffet offered on Saturdays and Sundays. The regular lunch menu includes a range of thin rice crepes known as dosa, several curry specials, and a variety of biryanis, while dinner brings the opportunity to choose from many of the items on the lunch menu as well as a wide selection of appetizers, tandoori sizzlers, curries, and dinner specials. The menu at Ashiana Indian Restaurant & Bar has a wide range of appetizers, curries, breads, and biryanis, as well as a full wine list. Several combo dinner options are available for groups of two people. All of the breads are freshly made to order; diners can choose between white and whole wheat and from a variety of delicious fillings. There is also an excellent selection of dessert such as carrot pudding and Indian ice cream, all of which are homemade. The restaurant sometimes offers special set menus for occasions such as Thanksgiving, Valentine's Day, and Mother's Day. 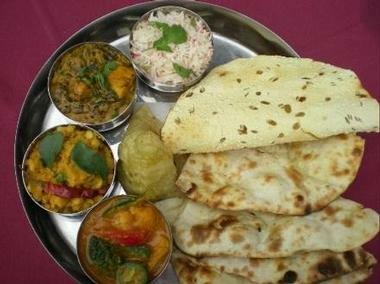 Formerly known as Thali restaurant, Bhojan Restaurant is a vegetarian Indian eatery that is proud to offer an extensive daily buffet of North Indian-style food. The buffet always includes a variety of curries, soups, vegetable dishes, freshly made breads, side dishes, and desserts, but diners are welcome to order additional or different items off the menu as well. The restaurant is open for both lunch and dinner every day of the week except for Tuesday, and they are happy to provide catering for special events held either in their private banquet hall or at a different location. Biryani Pot is a traditional Hyderabadi eatery best known for serving up a delicious and authentic version of the traditional Hyderabad dish that gives the restaurant its name. However, the restaurant offers many other dishes as well; the menu boasts almost a hundred different options for diners to choose from, including soups, appetizers, kebabs, breads, curries, and desserts. Several different lunch specials are available on weekdays, and the restaurant is proud to offer an excellent selection of vegetarian appetizers and main dishes. The restaurant is open seven days a week for both lunch and dinner, but hours vary according to the day. 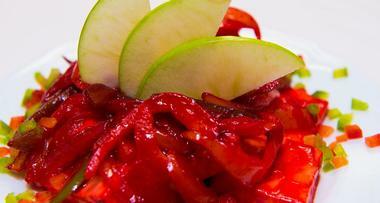 Family owned and operated, Cuisine India specializes in both Indian and Nepalese food. The menu starts off with appetizers such as Nepalese chili BBQ chicken, two types of samosas, and battered fried cauliflower. 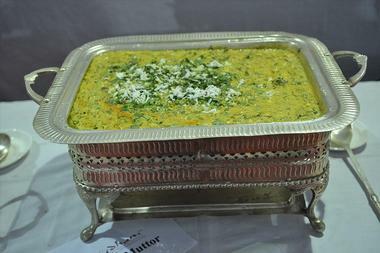 Several soups and salads are offered as well. There is a good selection of both vegetarian and non-vegetarian curry dishes, and the restaurant is happy to provide several healthier options such as tandoori chicken, broiled lamb, and a sautéed spinach and tofu dish. Diners can also choose to complement their meals with any of the delicious freshly baked tandoori flat breads, condiments, and desserts. Specializing in both North Indian and South Indian fare, the Curry Leaf Indian Restaurant offers excellent service and a friendly atmosphere. House specialties include the tikka masala, the goat curry, and the sambar vegetable stew, but there are also plenty of other curries, breads, rice dishes, and grilled entrees. The restaurant permits guests to bring in their own liquor if they desire, but they do sell non-alcoholic beverages, including sugarcane juice squeezed from plants grown onsite. There are plenty of menu options suitable for vegetarians, and all of the delicious desserts are made from scratch in the restaurant. Known for its delicious Punjabi food, Gourmet India is a welcoming Indian restaurant that offers a full bar and an all-you-can-eat lunch buffet every day of the week. Dinner is a la carte, and guests can choose from an excellent array of appetizers, soups, salads, tandoori specialties, and rice dishes. There are plenty of curries on the menu as well, including seafood, chicken, lamb, and vegetarian options, and these can be accompanied by one of the tandoori flatbreads or by the restaurant's flavorful saffron rice. Take-out and delivery are available for both lunch and dinner seven days a week. 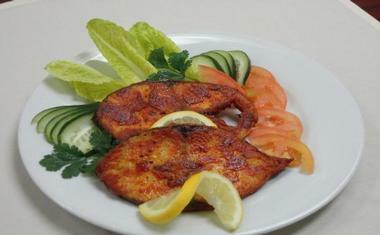 Open since 2004, Himalaya Restaurant specializes in innovative but authentic Pakistani and Indian cuisine. Chef Kaiser Lashkari enjoys coming up with new dishes, and all of the food is proudly prepared fresh from scratch, including the spice blends used in the curries and other dishes. 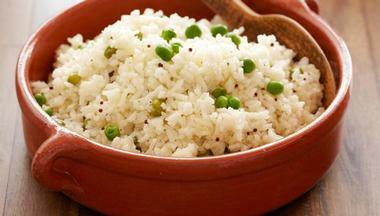 Plenty of vegetarian dishes are offered, and gluten-free options are available as well. The restaurant is open every day of the week except for Monday, and lunch specials are offered Tuesday through Thursday between 11:30 a.m. and 2:30 p.m. Please note that the dining room closes half an hour before the restaurant stops serving takeout. India's Restaurant serves up delicious North Indian food at reasonable prices, and its generous lunch daily buffet makes it a popular spot with the locals. 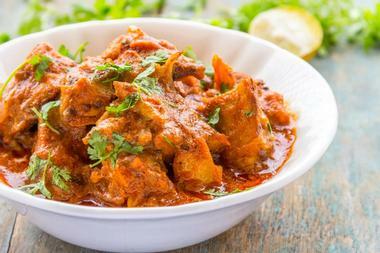 Diners can expect to see an excellent selection of chicken, lamb, seafood, and vegetable curries, which can be accompanied by rice or freshly baked bread. The menu also offers a variety of marinated and broiled tandoori dishes; house specialties include garlic prawns, steamed fish wrapped in a banana leaf, and grilled vegetable skewers. Several different meal combinations are available for one or two people, and the dessert selection includes rasmalai, kheer, and gulab jamun. Serving both North Indian and Pakistani cuisine, Lazeeza Restaurant is proud to prepare all its food using only halal meats, fresh produce, and high-quality spice blends. Popular menu items include the chicken or goat biryani, the shish kebabs, and the lentil daal, but there are plenty of other dishes for guests to choose from. The restaurant offers regular buffets, including a daily lunch buffet, a dinner buffet Friday through Sunday, and a special brunch buffet on Saturday and Sunday mornings. Lazeeza's is also happy to provide full-service catering, and they have a private party hall that larger groups can rent. With restaurants in India, Dubai, and Houston, Maharaja Bhog is a vegetarian eatery that offers a truly authentic Indian experience. The food served here is inspired by the traditional cuisine of the regions of Rajasthan and Gujara, and everything is prepared according to family recipes that have been handed down for generations. The restaurant offers a lunch and dinner buffet every day of the week except for Tuesdays; guests can expect to see a wide selection of appetizers, vegetable dishes, curries, breads, rice dishes, condiments, and sweets as well as Maharaja Bhog, the smoked herb buttermilk drink that gives the restaurant its name. Open since 1994, Mogul Indian Restaurant prides itself on offering a fine Indian dining experience with welcoming service. The menu offers an excellent selection of appetizers, rice dishes and biryanis, tandoori sizzlers, traditional Indian breads, chutneys and other condiments, beverages such as lassis and spiced tea, and desserts. Seafood, lamb, chicken, and vegetable entrees are also available. Guests can order off the menu for both lunch and dinner, but the restaurant offers an extensive lunch buffet as well. There are plenty of vegetarian dishes on offer, and the restaurant is also happy to accommodate anyone with gluten allergies or other food intolerances. Specializing in North Indian food, Nirvana Indian Restaurant is a fine dining establishment that offers catering as well as a daily lunch buffet and an extensive menu. Guests can choose from a wide selection of classic Indian dishes, including palak paneer, chicken vindaloo, and shrimp jalfrezi. There are also plenty of delicious dishes prepared in the tandoori oven, including kebabs, fish or chicken tikka, and marinated lamb. No alcoholic beverages are sold on the premises, but guests are free to bring in their own alcohol if they wish; the restaurant does not charge a corkage fee. 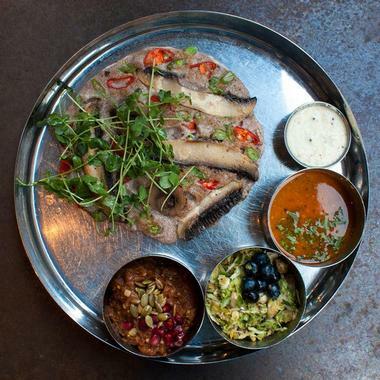 Named after a city in Southern India, Pondicheri is a modern restaurant that specializes in innovative food inspired by many different regions of India. The kitchen staff members are always experimenting, and the menu changes with the season, but typical dishes include oyster pakoras, chicken kebabs served with cumin orange rice, and tandoori salmon salad. 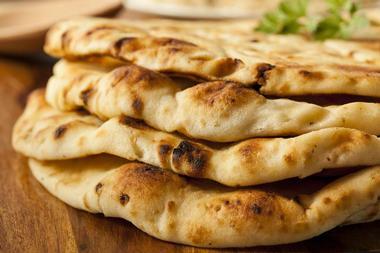 Traditional favorites like butter chicken and saag paneer can be found on the menu as well, and there is an excellent selection of breads, rice dishes, and other sides. Pondicheri also offers cooking classes and sometimes hosts special events such as interactive pop-up dinners. Established in 1995, Royal Restaurant is an Indian and Pakistani eatery that offers a wide range of vegetarian and halal meat dishes. 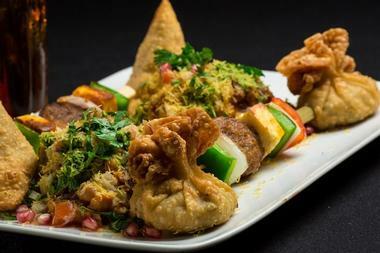 House specialties include chicken tikka breast, goat biryani, and palak paneer, but the menu offers plenty of other appetizers, curries, tikkas, and rice dishes as well. Daily specials are always offered, and groups can enjoy the Royal family plate, which comes with a combination of chicken tikkas, beef biharis, and kebabs. The restaurant is open for both lunch and dinner every day of the week, and a daily lunch buffet is available between the hours of 11 a.m. and 2:30 p.m.
Saffron Indian Restaurant is a family-owned and operated business that prepares its food fresh using special, hand-selected spices. The menu is full of traditional favorites, including samosas, dosas, chicken tikkas, and a variety of chicken, goat, seafood, and vegetable curries. A small selection of Chinese food is available for diners who aren't in the mood for Indian cuisine, and the menu has plenty of vegetarian and vegan options. The restaurant is open for dinner every day of the week except for Monday, and lunch specials are offered between the hours of 11:30 a.m. and 2:30 p.m.
Taj Indian Restaurant is a Hyderabadi restaurant that offers dine-in and take-out options as well as catering for groups of all sizes. A lunch buffet is held every day of the week, and the menu offers an excellent range traditional Indian appetizers, curries, tandoori breads, and desserts. Combination platter specials are also available, and they come with a pre-selected variety of appetizers, curries, rice, and naan bread. Alcohol is not sold here, but guests are welcome to bring their own if they wish. The restaurant is open from 11 a.m. until 9 p.m. 7 days a week. 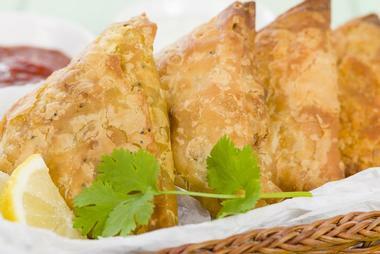 Located in Katy, Tandoori Garden is a Himalayan restaurant that serves up delicious Nepalese and Indian cuisine. The owners and staff pride themselves on their friendly service and healthy food, and all menu items are prepared with fresh ingredients and high-quality spices. The menu starts off with Indian appetizers like samosas and pakoras as well as Nepalese options such as chicken mo mo and marinated meat. 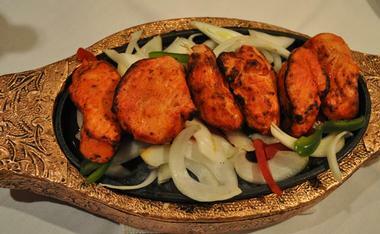 There is also a selection of soups, salads, grilled tandoori specialties, biryanis, and breads. Guests can also choose from a wide variety of curries, including chicken, lamb, seafood, and vegetarian options. Open since 19997, The Bombay Brasserie specializes in innovative food that combines the flavors of India with the traditional cooking methods of French cuisine. The menu offers plenty of classic Indian favorites, including pakoras, chicken tikka, and rogan josh lamb curry, but there are also items such as pan-fried calamari, spinach salad with strawberries and paneer, and almond yogurt crusted rack of lamb. Desserts like gulab jamun and ginger creme brûlée are a delightful way to finish off the meal. The restaurant also has a banquet hall next door, which can be rented out for private groups and has a capacity of 100-150 people. Yaal Tiffins South Indian Cuisine serves up delicious home-style South Indian, Indo-Malaysian, and Sri Lankan food. The restaurant is proud to prepare all its food with only the freshest ingredients available, and it's known for preparing modern interpretations of traditional dishes. The menu offers everything from Malaysian-style fried noodles to Sri Lankan goat curry to North Indian-style chicken vindaloo; plenty of rice dishes and tandoori dishes are available as sides. Vegetarians and vegans have a good number of options to choose from, and Yaal Tiffins is open for lunch and dinner every day of the week except Monday.